Speaking at 7:30 p.m. Wednesday, Oct. 26, following an Olin Arts Center screening of the documentary Food, Inc., Gary Hirshberg P’13 is president and “CE-Yo” of Stonyfield Farm, the world’s leading organic yogurt producer. Hirshberg is the husband of freelance writer Meg Hirshberg and the father of three yogurt eaters, including Bates junior Ethan Hirshberg. Gary Hirshberg is the author of Stirring It Up: How to Make Money and Save the World (Hyperion Books, 2008) and a frequent speaker on topics including sustainability, climate change, the profitability of green and socially responsible business, organic agriculture and sustainable economic development. Offering remarks at the dedication of Hedge and Roger Williams halls at 4:30 p.m. Thursday, Oct. 27, Paul Marks ’83 was the first student to study Chinese at Bates. He is chairman and CEO of the aerospace materials maker Argosy International Inc. Founded in 1988 and headquartered in New York City, Argosy is a leading global supplier and manufacturer of aerospace composite materials, supporting such major aerospace companies as Boeing, Sikorsky and Airbus. 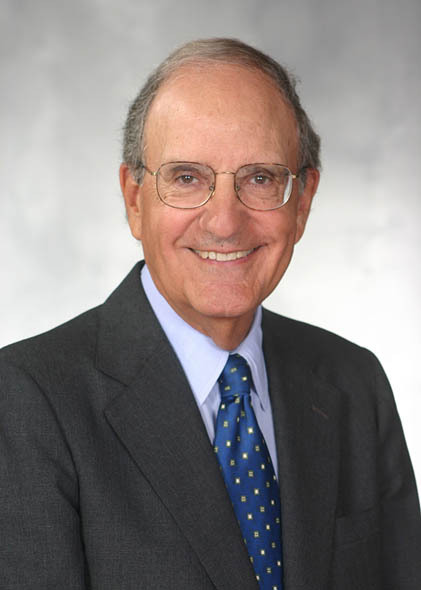 Also on Thursday, George Mitchell offers the Bates Unbounded: Open to the World keynote address at 5:30 p.m.in the Chapel. Mitchell, who served as U.S. special envoy for Middle East peace from January 2009 to May 2011, is one of the most accomplished politicians and diplomats that Maine has produced in recent decades. In 2008 Time Magazine named him one of the 100 most influential persons in the world. Mitchell received an undergraduate degree from Bowdoin College and a law degree from the Georgetown University Law Center. He served as U.S. attorney for Maine from 1977 until 1979, and U.S. district judge for Maine in 1979 and 1980. He was appointed to the U.S. Senate in 1980 to complete the unexpired term of Sen. Edmund S. Muskie (a member of the Bates class of 1936), who resigned to become secretary of state. Mitchell was elected to a full term in the Senate in 1982 in a stunning come-from-behind victory. Mitchell left the Senate in 1995 as majority leader after an illustrious career in that body. He led the successful 1990 reauthorization of the Clean Air Act, including new controls on acid rain toxins, and wrote the first national oil spill prevention and clean-up law. He was a key player in legislation including the nation’s first child care bill, the low-income housing tax credit program and the Americans with Disabilities Act. From 1996 to 2000 Mitchell served as the independent chairman of the Northern Ireland Peace Talks. Under his leadership the Good Friday Agreement, a historic accord ending decades of conflict, was agreed to by the governments of Ireland and the United Kingdom and the political parties of Northern Ireland. Mitchell has published four books, including Making Peace (Knopf, 1999), an account of his experience in Northern Ireland.